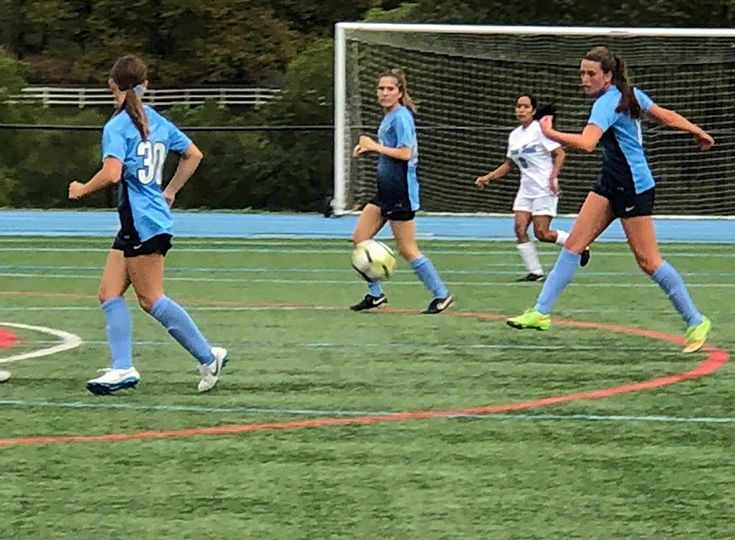 The girls’ soccer team continued to find success, as the Knights recorded two more wins last week. Gill defeated a strong South Hunterdon team 3-0 on Tuesday, September 18. Samantha Lowe ‘20 led the charge for the Knights as she recorded a goal and an assist in the win. Theresa Zimmer ‘20 added a goal as did Hayley Goldin ‘19. The Knights enjoyed another offensive explosion in their next match as they topped Warren Tech 7-0. It marks the fourth time this season that the Knights have scored seven or more goals in a game. Having a terrific day for Gill was Mia Kolb ‘22 as she recorded a hat trick and an assist. Also scoring goals were Izzy Deo ‘20 and Samantha Lowe ‘20 along with Isabel Orazietti ‘21 and Caroline Solondz ‘21. The Knights’ 6-1 record has them in second place in the Mountain Division standings.